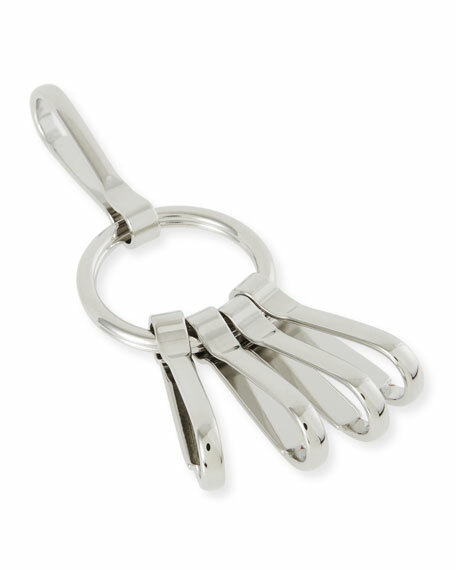 Helmut Lang Re-Edition brass key-rings. Armenta enhancer from the Old World Collection. 18-karat yellow gold bale. Blackened sterling silver scroll drop. Bezel-set garnet, champagne diamonds, and sapphires. 0.65 total diamond carat weight. Loewe leather elephant-shaped charm keychain. Available in multiple colors. Zip top closure. Logo-engraved key ring and clip. 2.5"H x 2.3"W x 1.8"D; weighs 1.9 oz. 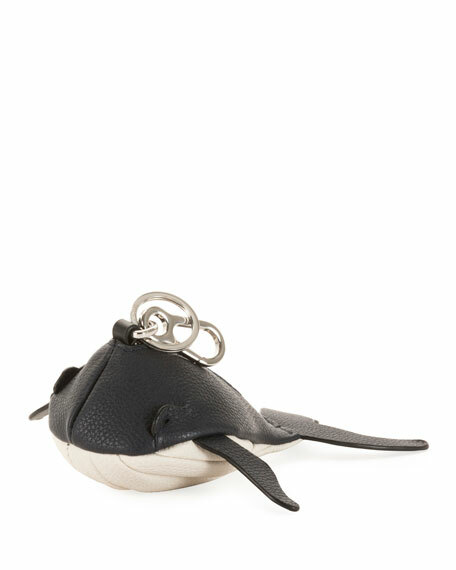 Loewe leather charm in whale silhouette. Designed in collaboration with Paula's Ibiza. Lobster clasp and key ring. Zip top closure. 2.3"H x 4.7"W x 3.3"D. Made in Spain.